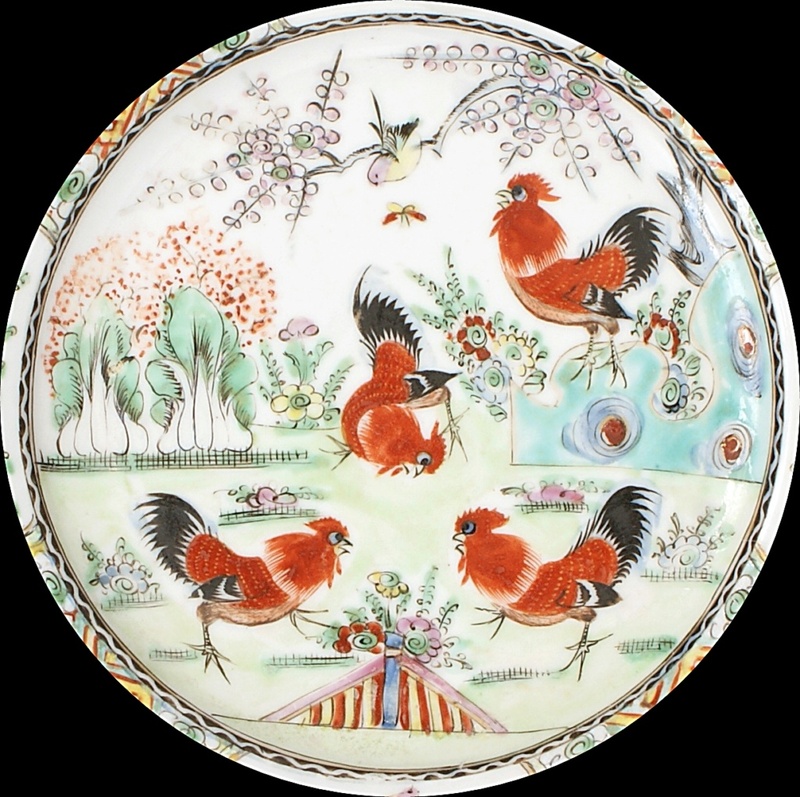 Pair Of Chinese Plates Depicting A Group Of Cockerels. Hi! 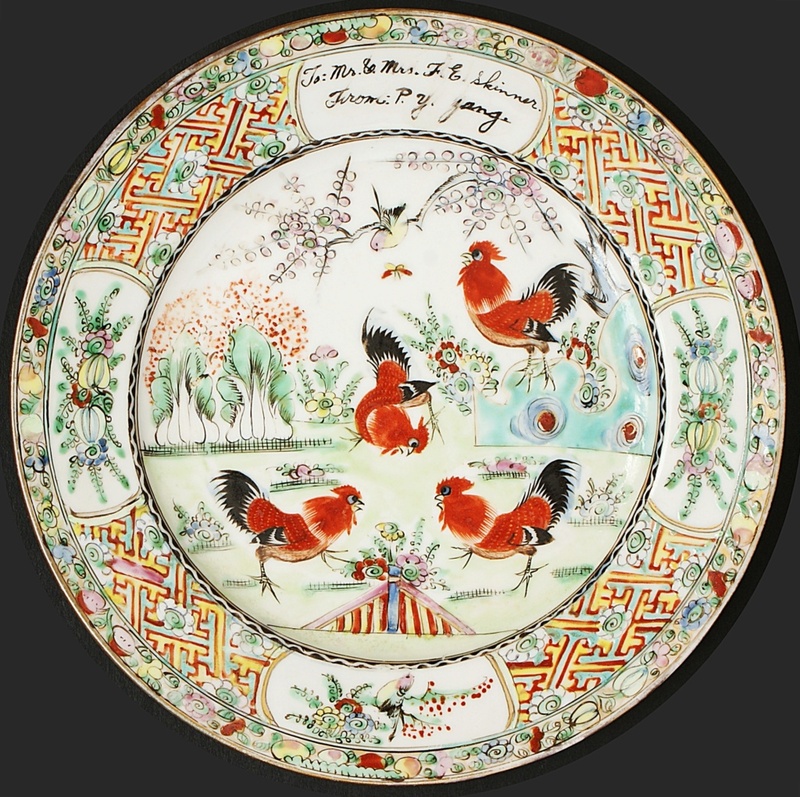 Just acquired these pair of Chinese plates what I think are signed by the potter P. Y. Yang, a presentation or commission piece maybe. 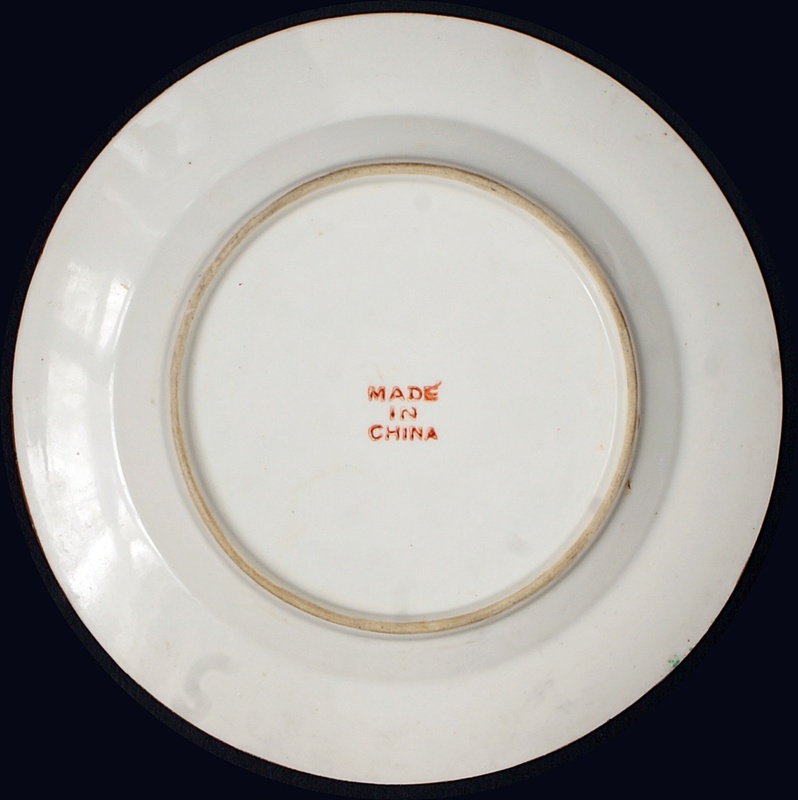 Made In China and date from 1919 to 1949 or later. Can anyone kindly help me with any further info on the plates thanks. 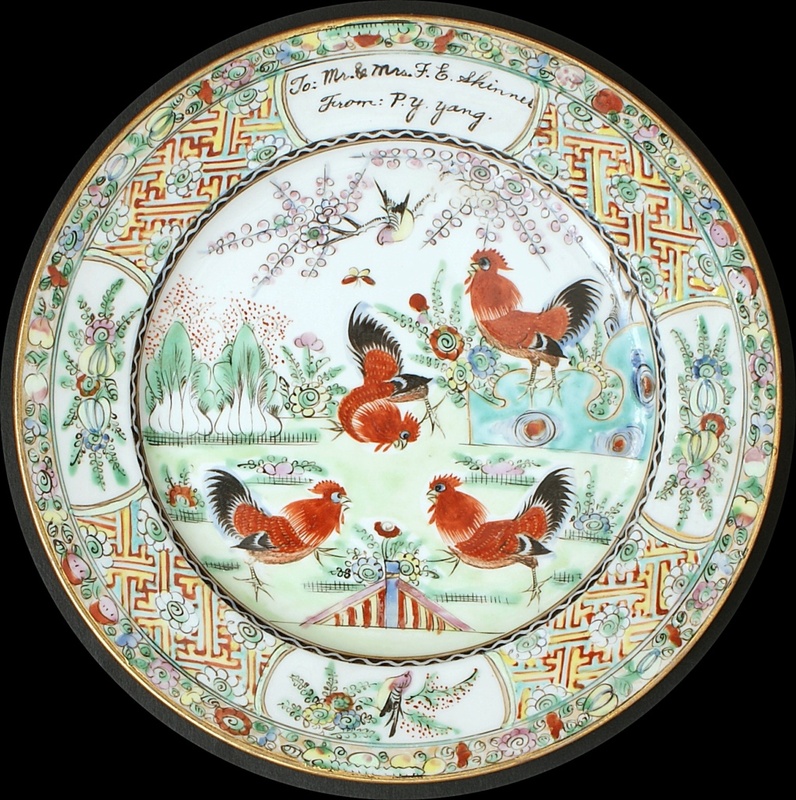 Re: Pair Of Chinese Plates Depicting A Group Of Cockerels. Mr. Yang could have been the potter or more likely the decorator but both are extremely unlikely. 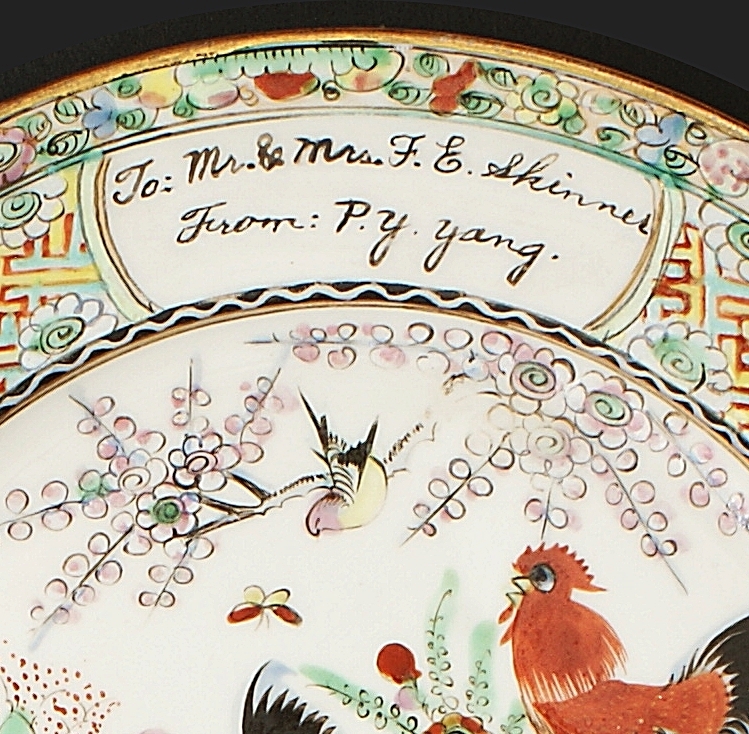 It would have be made as a special gift to the Skinners from Mr. Yang but probably all of the decoration would have been a standard decoration at any one of hundreds, if not thousands, of factories that produced this type of ware and the cartouche would have been filled with your special message. Decorative but not of any great value. Good to know thanks, only cost 50p for the pair so nothing lost. Date of plates I think 1950s - 1960s. They are very appealing and decorative and you might even get members of the Skinner clan fighting over them! studio-pots wrote: They are very appealing and decorative and you might even get members of the Skinner clan fighting over them! Might be worth go and see what happens and who knows it might end up a cockerel fight between the family clan, cheers.